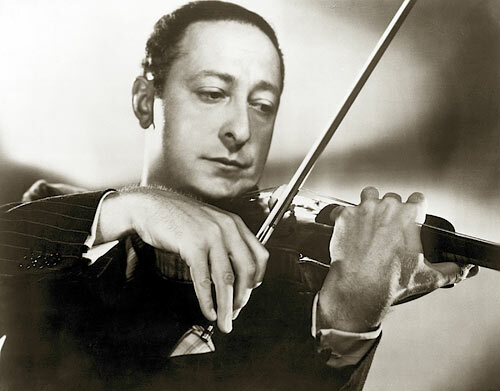 Jascha Heifetz was famous for his bowing technique. 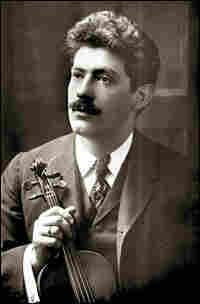 Fritz Kreisler is remembered for his sweet tone and his charming compositions. Fritz Kreisler: Tamborin Chinois. Recorded in 1944 with the Bell Telephone Hour Orchestra, conducted by Donald Voorhees. Sergei Prokofiev (arr Heifetz): March from "Love for Three Oranges" recorded in 1970 with pianist Brooks Smith. Felix Mendelssohn: Violin Concerto--Allegro Molto. Recorded in 1959 with the Boston Symphony Orchestra, Charles Munch, conductor. Grigoras Dinicu (arr Heifetz): Hora Staccato. Recorded in 1950 with pianist Emanuel Bay. 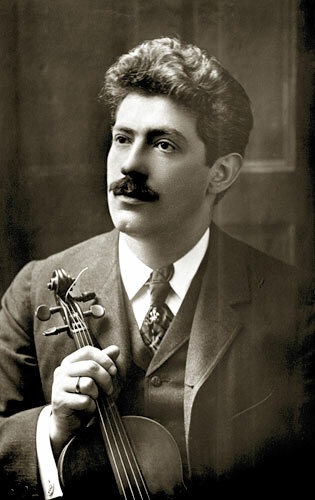 Jascha Heifetz and Fritz Kreisler were both born on Feb. 2 — Kreisler in 1875 and Heifetz in 1901. But the two men share more than just a birthday. Music commentator Miles Hoffman joins Renee Montagne to discuss the two famous fiddlers and how they each set new standards for the art of playing the violin. Hoffman says that Kreisler's trademark was sweetness, warmth and humanity. Meanwhile, Heifetz, through his bowing technique and superhuman speed, achieved a level of virtuosity that is still unmatched. When Kreisler first heard the astounding young Heifetz in 1912, he reportedly said, "We can all just break our fiddles over our knees." Kreisler became one of the most beloved musicians of his generation, known for his sense of humor. He passed off some of his compositions as the work of faux-18th-century composers and waited many years before revealing that they were actually his own. 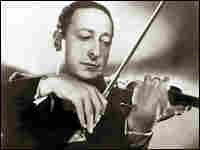 Hoffman says today nearly every classical violinist plays a few of Kreisler's whimsical pieces. Heifetz left behind a legacy of recordings that are revered for their tonal beauty and incomparable musicianship. Hoffman says that when he was a youngster, he fell asleep most nights listening to the magical sounds of Heifetz, especially his recording of Mendelssohn's Violin Concerto. "If it weren't for Heifetz, and that Mendelssohn record," Hoffman admits, "I probably never would have become a musician myself." Miles Hoffman is a violist and the Artistic Director of the American Chamber Players.